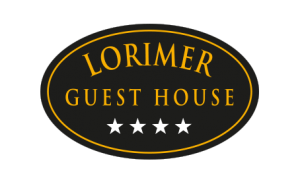 Breakfast is commonly regarded to be the most important meal of the day and at Lorimer House we agree. 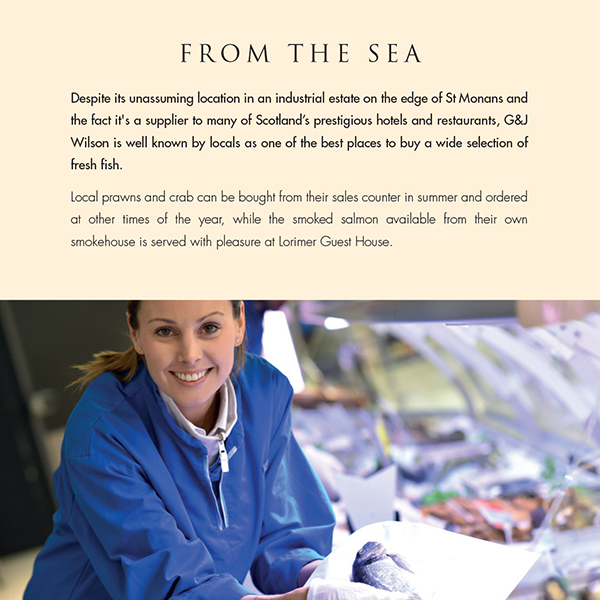 We take pride in using quality locally sourced fresh produce showcasing some of the best local and Scottish Food producers in the food we prepare. Scotland’s food and drink comes from unspoilt habitats and varied weather, which are perfect for producing a wide variety of high quality fresh fruit, vegetables, fish, meat and much more. 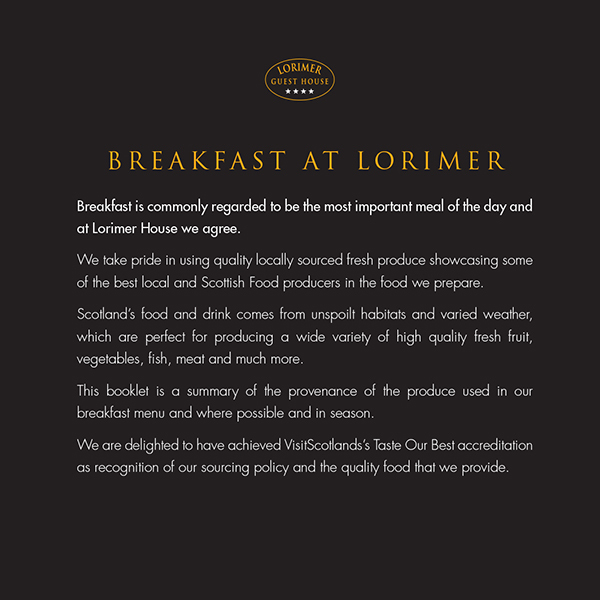 A summary of the provenance of the produce used in our breakfast menu is shown below. 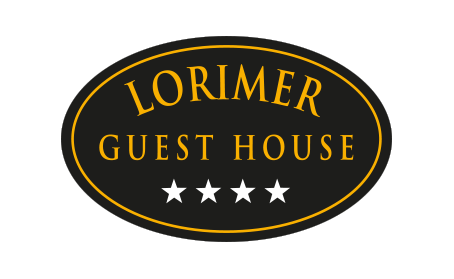 We are delighted to have achieved VisitScotlands’s Taste Our Best accreditation as recognition of our sourcing policy and the quality food that we provide. 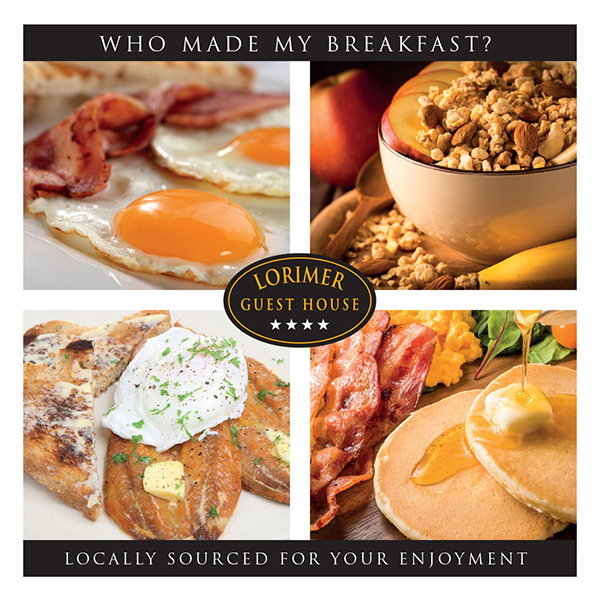 Our hearty breakfasts are available daily until 9am. 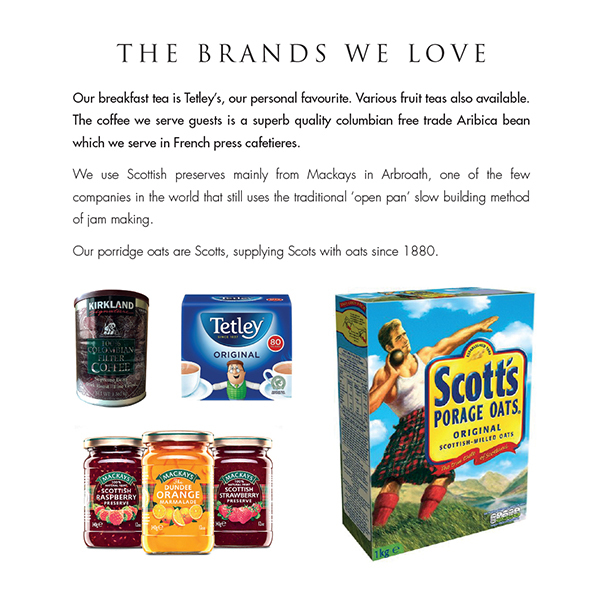 Our porridge is made from Scots oats. 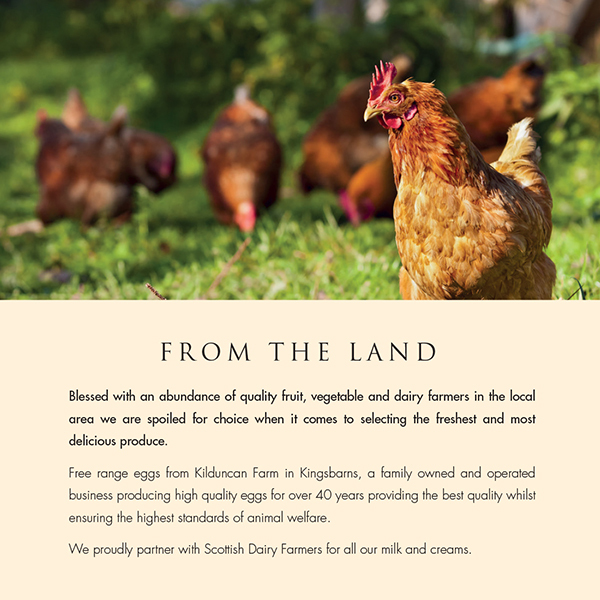 All our eggs are freshly laid in Fife by free range chickens from Kingsbarns. Our sausages and bacon are from Penmans Butchery in Crail. 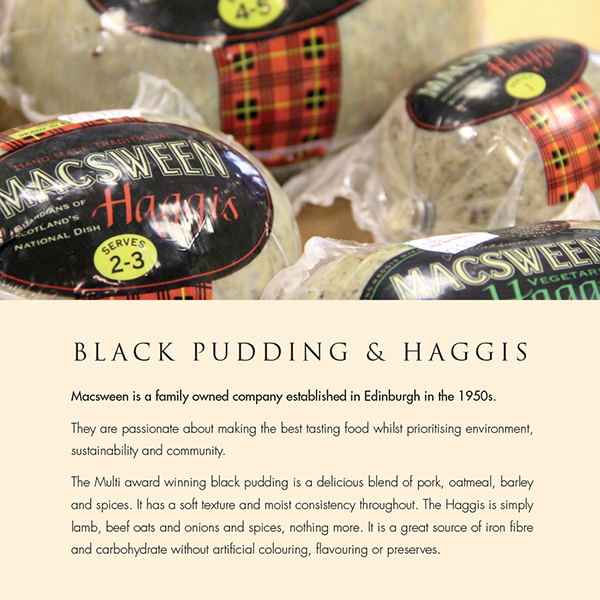 The black pudding & haggis from the Macsweens of Edinburgh. All our milk and butter is produced in Scotland. Food Provenance – Who made my breakfast? Eggs (fried,poached or scrambled) locally produced pork sausage and unsmoked back bacon, mushrooms, baked beans,grilled tomato and black pudding or haggis (by request). Vegetarian option available. English Muffin topped with Ham, poached eggs & hollandaise sauce. Three slices of toast and four rashers of bacon. Can be wrapped to take away.